Well there’s no point in speculating too much since it seems like we’ll know all the details tomorrow, but I do have a few initial thoughts. First of all, unlimited upgrades obviously mean there will be no more 500 mile upgrades. I’m also fairly confident that it means no more confirmed regional upgrades. If that’s the case, there will be no reliable way to upgrade a companion short of burning miles (potentially with a co-pay). There’s no doubt that United’s upgrade system has long been one of the most complicated ones out there, which is why I’m not totally opposed to this. It’s just too confusing for the average person to understand, and public perception of unlimited “free” upgrades seems to be much better. At the same time, I prefer the current system since it’s easier to take full advantage of if you know what you’re doing. I love the ability to confirm upgrades in advance on difficult routes with confirmed regional upgrades. Who should really be worried? Premier members. Sorry guys, you can just about say goodbye to upgrades. Think about it, Economy Plus consists almost exclusively of elites. 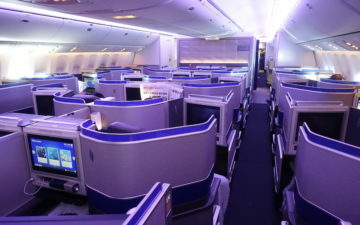 Now imagine if all the Premier Executive and 1K members in coach automatically got upgraded. I just don’t end up seeing this working. The last thought I have is that this overlaps somewhat nicely with the Continental partnership. If I had to guess, reciprocal upgrades for Continental and United elites will be coming pretty soon. United’s just copying Delta. At least that’s what you-know-who will claim. So, if 500 mile upgrades are going away, how can I buy a 500 mile upgrade as you suggest in your last sentence. I realize that you don’t have a crystal ball, but I have found that you are correct 99.9% of the time, so do you think that individuals who are willing to use miles (with a co-pay) will be first in line and then the “free” upgrades will be awarded? Or do you think that those of us who are 1P and lower who are willing to use miles are SOL? @whakojacko of course 1Ps will be hurt since they’ll have to compete with all the 1Ks on a flight every time, now some 1Ks might be sitting in back to preserve their 500-milers. But — umm — United already takes account of fare class in the upgrade queue. It is how they determine which 1K to upgrade, etc. Here’s a thought on how they could do this simply and effectively: Make NO changes except give all elites “unlimited” e500s. In effect the e500s would disappear, as you wouldn’t need them as currency for upgrades. But keep the CR-1s and their use as a capacity-controlled, in-advance confirmable instruments for 1Ks. Otherwise, the 120-, 100-, 72-, 48-, and 24 hour windows automatically upgrade everyone with appropriate status just as if they had listed with e500s. When capacity is full, everyone dumps to the DM just as they do now. This way companion upgrades are handled as with the current system. @ Gene — I’m looking forward to it, especially since that’ Mr. Hunter’s biggest reason for loving Delta. So real international upgrades AND domestic upgrades to his liking? Can’t wait to hear the spin. @ Despina — Sorry about that! No excuse, but was on a redeye last night and wrote this right after I woke up after a nap, so that’s the best excuse I can give. I would expect that they’ll either get rid of 500 mile upgrades altogether, or maybe just not issue them for free anymore. I would expect that mileage upgrades will work as they always have. Upgrades should be able to be confirmed in advance if there’s confirmable upgrade space, so I don’t see that changing much. @ whakojacko — Well, Premier members are the ones really in trouble. By that I mean that Premier members typically didn’t clear the toughest upgrades in the past, and they might just be out of luck on easy routes nowadays as well. No need to apologize! I’m shocked you’re even awake after all the travel you did this past weekend. I guess we’ll just have to keep our fingers crossed that some good news remains for those of us who are 1P and 2P. 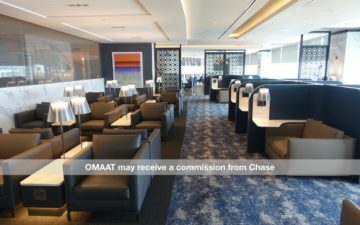 Well, there’s no such thing as a free lunch, and at the end of the day, all things *appearing* equal, there needs to be a way to differentiate the value of those first class seats. Meaning? Any method by which a customer ‘pays’ for a seat will take priority, Unlimited upgrades for 1Ks? Terrific! If there’s any left after folks scoop them up using some other value instrument. Of course, that’s all pure speculation on my part. 🙂 The free market tends to drift towards this direction, though. I was lucky enough to make 1K this year thanks to all the DEQM promos, but after next year ill prob drop down to 1P or 2P. I don’t like this for the future because probably 80% of my upgrades are only because 1Ks or 1Ps dont upgrade until they check in and are prompted. And I could sneak in as a 2P requesting it weeks in advance. Now those seats will not be available anymore. The lower level elites are going to suffer. There’s no way that they don’t. The good news is that UA still has empty F seats on a lot of flights so there will be plenty of upgrades for a lot of customers. The bad news is that those won’t be on the flights anyone cares about. The transcons and the wide-body flights are going to be very hard to get. Just ask the carrier that the program is based on – CO.
On the plus side, it looks like this will feed into the reciprocity plans with CO nicely. Clubs and upgrades are accounted for. So is the reward chart and reveue sharing TATL. Not much else left to complete for their pseudo-marriage. I suspect CR1 will stay around for 1K, with the same earning mechanism. Nothing will change other than once all UGs have cleared, GS and 1K will be moved up. boo, not cool UA, i like my upgrade instruments! As a 1P (strike 1) based out of SFO (strike 2) flying transcons (strike 3), I’m probably screwed unless UA carefully structures this to allow people to upgrade with instruments before the freebies get passed. I’d be happy to keep the e500 system if that meant I had a better chance at upgrading before the freebies. 500s are clearly going bye-bye, in spite of the ridiculous speculation otherwise on FT. There is no room for debate on this question. Cr-1s are more in the air. I don’t seem them staying either, but I will be very upset if they’re taken away, and I see no huge reason why they should be. Too early to say whether these changes are good or not. No spin from me – looks like you got a big win. Congratulations. @Other Hunter – this is NOT a big win!!! Now getting an upgrade on UA will be like getting one on CO – IMPOSSIBLE! Also this program doesn’t apply to p.s. routes which are my favorite ones, and they are taking away CR1’s so the only way to get one on p.s. is to burn a SWU or pay a co-pay and miles. BAD BAD BAD BAD BAD!!! Also we can no longer sponsor an upgrade for someone unless burning a SWU or paying a co-pay and miles. Suddenly more people will be using SWU inside region 1 and our upgrades won’t clear anymore unless we are on super high fare buckets. This is TERRIBLE! Nooooooooo! I switched teams this year from UA to NWA/Delta due to a relocation. Was a 1P (technically still am, but basically zero EQMs this year). If I knew this was coming I might have stuck around, since by not flying from a UA hub the upgrade chances were actually decent. Sorry UA. Secondly, I actually liked the former upgrade system on UA. It differentiated UA from most of the other US legacies. Because you had to pick which flights to attempt to upgrade on, some availability was still left for the lower level elites. Now higher level elites get the upgrade whether they would have used 500s or CR1s or not. I agree with jsgoldbe, the former system is much better! 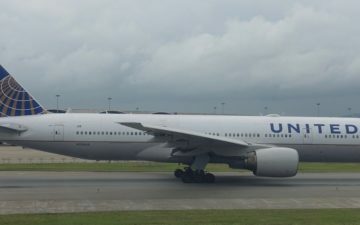 It is what made UA better than other airlines. Higher level elites had to pick and choose their flights to upgrade. Now they don’t so they will get them all the time. I suspect that UA will lose some low level loyal customers. I also suspect that this is a way to make people pay for the upgrades — miles plus cash instead of regional upgrades and 500 certificates. And those of you in doubt, yes, regionals are gone and so are 500 mile upgrades. so let me get this straight. The airline wants to treat the people who GIVE THEM LOTS OF MONEY better, and treat people WHO TRY TO FLY AS CHEAPLY AS HUMANLY POSSIBLE the shaft… while this is clearly bad for most of us who try to buy cheap tickets (and I’m 100% in that camp with most of you) .. doesn’t it make a little bit of sense that the high-fare passengers are the ones UA wants to reward, since those are the only ones they make any money on? As a United elite, I now have to compete with Continental elites for upgrades and economy plus on my home airline which is UA. 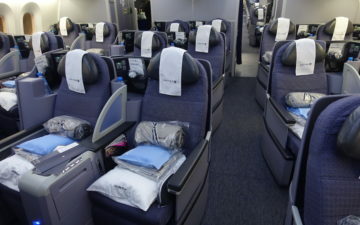 United has just diluted it’s 1K status and as a business traveller who books travel at the last moment, paying the higher economy fare, I will be stuck in the back seat, while the Continental elites move into the First Class and Economy plus seats for FREE! Time to look elswhere.